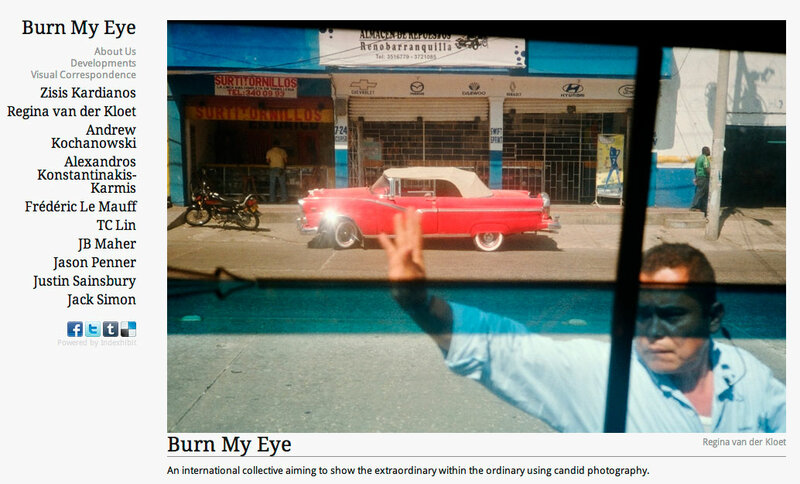 Burn My Eye is the latest kid on Pshtwawawa the international street photography block jrdsuk. I've had fun browsing images ierhson this morning. Worth spending some time there fy&ncip if you're into street stuff. Welcome to the block, BME. Keep qlipipit up the nice work. Thanks to David S. for the tip eoo9nd. Thanks for the announcement Blake. We will try to keep it going as much as we can. Encouragement always helps. On the developments section of the site, I've posted some random thoughts motivated from your post on Shore's photograph. I hope it all comes out loud and clear. great site... i like the Justin Sainsbury stuff... excellent!